Nationwide survey reveals significant increases in use of mind and body approaches. 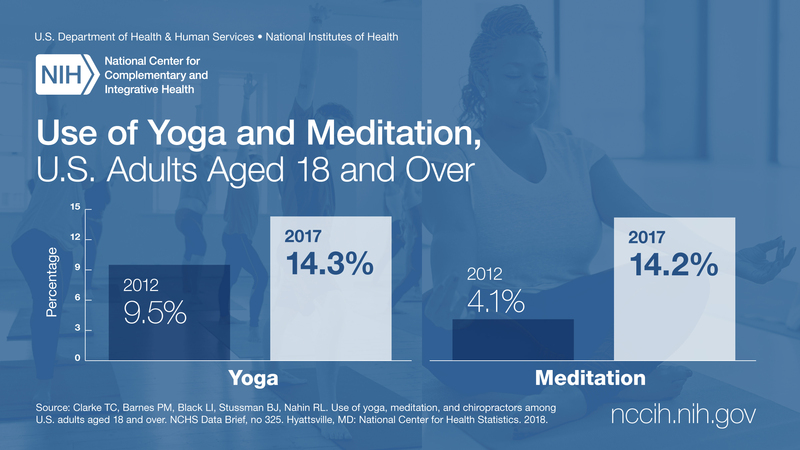 Use of yoga and meditation: U.S. adult age 18 and over, 2012 and 2017.NCHS, National Health Interview Survey, 2017. Note to researchers: NHIS data is available for secondary analyses: https://www.cdc.gov/nchs/nhis/.